HPCL is termed as Hindustan Petroleum Corporation Limited is a Government of India Enterprise with a Navratna Status, and a Forbes 2000 and Global Fortune 500 company. It had originally been incorporated as a company under the Indian Companies Act 1913. It is listed on the Bombay Stock exchange (BSE) and National Stock Exchange (NSE), India. HPCL owns & operates 2 major refineries producing a wide variety of petroleum fuels & specialities, one in Mumbai (West Coast) of 6.5 Million Metric Tonnes Per Annum (MMTPA) capacity and the other in Visakhapatnam, (East Coast) with a capacity of 8.3 MMTPA. HPCL also owns and operates the largest Lube Refinery in the country producing Lube Base Oils of international standards, with a capacity of 428 TMT. 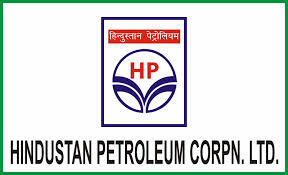 HPCL is recruiting freshers in bangalore as project trainee with the required educational qualification and this post provides the information required the eligible criteria and last date for application. * Must have completed Diploma in Chemical Engineering/Petroleum Refining from a recognised university. * Should have completed regular course/s from AICTE approved / UGC recognized University/Deemed University in the above mentioned disciplines. * Must have completed B Sc in Chemistry/Microbiology/Biotechnology from a recognised university. * At the time of application, the candidate should have proof of award of Degree. * Candidates (belonging to General and OBC-NC category) should have secured minimum 60% marks (aggregate marks of all semesters/years) in qualifying degree examinations and Post Graduation degree, relaxed to 50% (aggregate marks of all semesters/years) for SC/ST/PWD candidates. * Candidates with Integrated Courses can also apply. * Must not have more than 28 Years as on 01-11-2017 and age relaxation is applicable according to government policy. The engagement is initially for a period of one year, which may be extended by one more year at a time based on the project requirement and performance of the candidate subject to a maximum of 3 years. 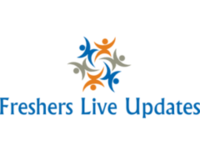 * Selection will be made on the basis of screening of applications and Testimonials as per the eligibility norms and written test (depending upon the no. of applications) of eligible candidates followed by personal interview by the Selection Committee. * Candidates shortlisted after initial scrutiny will be intimated thru portal. Candidates are advised to visit the portal from time to time for completing this exercise.